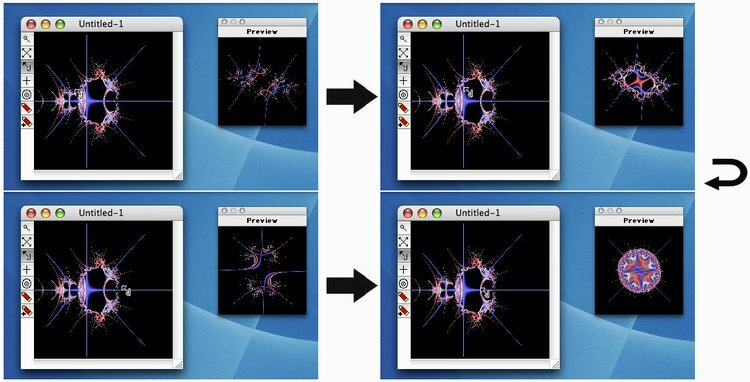 An important thing to remember when exploring Julia images with orbit traps is that any parameters you set in the Mandelbrot window (including orbit trap settings and color map settings) are transferred to the Julia image in the preview window and in the Julia image you create by clicking with the Julia tool. So, before we go looking for orbit trap Julia images, let’s set up some parameters in the Mandelbrot window. Make sure the Preview window is open and start dragging the cursor around the border of the Mandelbrot set or even into the interior of the Mandelbrot set.Here is a movie to illustrate. I move the cursor around and click when I see an image I’d like to see in more detail. If you want to see the movie, click the play button, if you’d rather not there are some stills below. 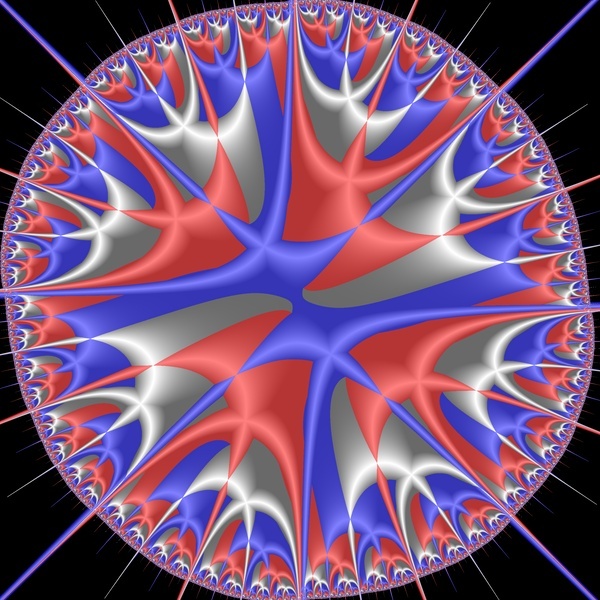 …and here is a rendered version of the final Julia window. I zoomed to get the interesting part to fill the window, then rendered at 600×600 with anti-aliasing. Tip: When you are moving the mouse around to explore trap images, some of the images may be extremely sensitive to the mouse position, and it may be difficult to click the Julia tool without moving the mouse too much. If this is the case, try making the Mandelbrot window bigger. It starts out as 200×200 pixels but you could make it 400×400, for instance, with the Parameters dialog. The image in the preview window will then be much less sensitive to mouse movement. 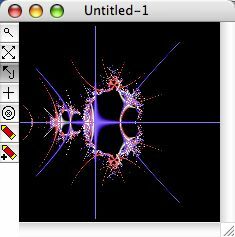 Note that in this case the Julia window you get by clicking the Julia tool will also be larger, since it takes its size from the parent Mandelbrot window. 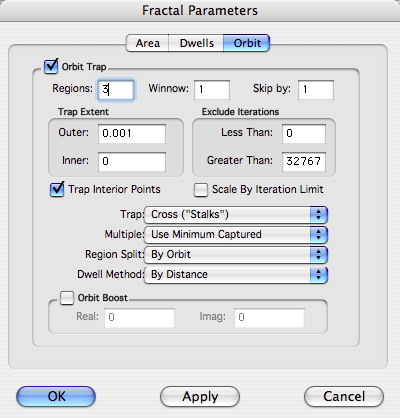 On the next page, we are going to go through the same process with a different set of orbit trap parameters set.